Paying taxes in the Netherlands is a relatively straightforward affair. As the national Tax Office (Belastingdienst) says: ‘we can’t make it more fun, but we can make it easier’. And things have gotten a lot easier over the years. You can now do your taxes online or through a Dutch tax advisor. But paying taxes never is fun. If you’re working or making money in the Netherlands, there is a large number of taxes that you need to take into consideration. But before moving to the general taxation system of the Netherlands, the first relevant question for all expatriate in the Netherlands is: are you eligible for the 30% rule? 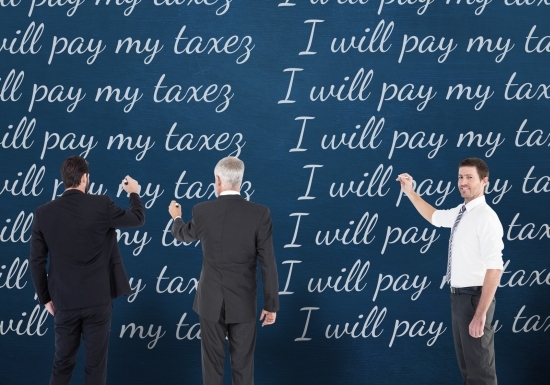 If you are, the first 30 percent of the income you make is free from payroll and income tax for five years (this period has been shortened from seven years, starting in 2019). The remaining 70% will be taxed in the same way as for other working people in the Netherlands. The 30% rule is intended as a reimbursement for relocating expenses when people move to the Netherlands from their homeland. Aside from the 30% tax-free income benefit, other advantages include the possibility to have a fiscal ‘non-resident status’. This means you won’t have to pay tax on assets in Boxes 2 and 3 (see below), with the exception of real estate investments. Furthermore, you can also change your driving license to a Dutch license without having to take the required driving test, and you can receive many deductions on international school fees. You are eligible for the 30% ruling if, as a foreign worker, you are employed by a company in the Netherlands and you have specific professional expertise that is scarce or unavailable in the country (indicated by salary requirements). Furthermore, you can’t have lived less than 150 km from the Dutch border for more than 24 months prior to working in the Netherlands. If you meet these requirements, you and/or your employer should file an ‘Application Income tax and national insurance 30% facility’ with the Belastingdienst. You can also apply after you’ve started working and still receive all benefits or partial benefits, depending on when you started. When changing employers, you need to re-apply within three months after you ended your previous job. this includes wages from your job or income from your own business or freelance income, and also applied to artists or sports personalities. Foreign income and gifts also fall into this category. Although your employer will automatically withhold this tax from your salary, you still need to declare your income via your annual tax return. If you have your own business, then you are obliged to list all your income in your annual tax return. Some costs can be deducted from your income, such as mortgages, premiums for annuities, tuition costs, special medical expenses, waived venture capital, alimony and many more. this is another contribution that your employer withholds from your salary. This payroll levy consists of a wage tax and various insurance contributions, such as pensions, collective unemployment insurance and a whole range of benefits and allowances. At blueumbrella.nl/ you can calculate how much your net income will be after you’ve paid all your taxes. if you’re a freelancer or own a business, you must invoice this revenue tax to your clients. Depending on the services you offer, BTW will be 0%, 9% or 21%. BTW needs to be paid every quarter. At the start of each year, you will receive a letter from the Belastingdienst requesting you to complete your tax return for the previous year. On this return you can fill out, aside from your income: any income that your partner has, additional income like investments or savings, your mortgage and other tax deductions like healthcare costs or studies. If you have any doubts or questions about income or deductible items, you can always call the Tax Office at 0800-0543 or visit a local branch office. The annual income tax return needs to be submitted before April 30, unless you apply for an extension before then. This you can also do online or by calling in. Fines will be levied if you do not submit your return on time or ask for an extension, and of course if you fail to pay the taxes you owe. • A maximum of 51,95% on any income over €68.507. For those receiving the national old-age pension (AOW), the same taxable income amounts apply, but those in the lower two tax categories pay 18,65% and 22,95% respectively. Income from a substantial interest or holding of at least 5% in a BV (limited company) is taxed at 25%. This kind of income includes dividends and capital gains like gains on shares. Any costs that were made with regard to those incomes can be deducted from taxation. (fictitious) income from savings and investments is taxed, called capital gains tax. Examples include stocks and shares, bank and savings accounts, second homes and investment property. Some exceptions include the home you own and live in, moveable furniture, certain insurance schemes and investments in cultural, social, environmental or startup projects. Your income from capital is calculated through a fixed percentage. The actual return you achieve is irrelevant for the tax authorities. This fixed return on capital for the year 2018 is between 0.60% and 1.61%. For 2018, the first €30.000 in savings and investments is exempt from taxation for everybody. • If you have income from another country, it is not taxed by the Belastingdienst. • The person you are married to or you’re living with, regardless of marital status, is usually considered your tax partner. • Just like everyone else, you are entitled to a general tax credit of nor more than €2.265, as well as a labor tax credit of no more than €3.249. This is deducted automatically by your employer, or by the tax authorities if you own a business. • Other Dutch tax benefits in the Netherlands for people on a low income include a health care allowance, rent allowance, unemployment benefits and child benefits. • More case-specific kinds of taxes in Holland include: import tax (on goods received or imported from abroad), motor vehicle tax, inheritance tax, gift tax, corporate tax, transfer tax and gambling tax. Failure to pay any of the above, or voluntarily hiding your income, your wealth or an inheritance, can lead to a fine of 300% of the undeclared amount.